The Disposable Artshow is quickly approaching. 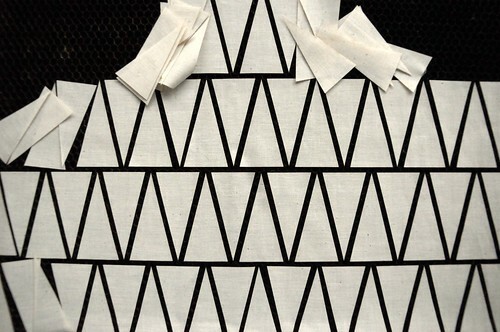 I’m furiously hand sewing hundreds of fabric triangles together for my skateboard design. The auction will be taking place on Saturday May 8! laser cut triangles… genius. Karyn: was this done using the Workroom’s laser engraving machine? Do you “rent” out time on the machine? these would be great for bunting!